Pushcarts and Horse Carts – A common sight in Lower New York City during the immigrant era at the turn of the 20th century were pushcarts. They served as a vehicle that one man could use to move considerable amounts of goods, and also if they were selling items the pushcart could be set up on the street to serve as the “store.” In this 1890’s image two men, with bags of rags they had gathered are resting. Horse carts (shown above) allowed for the gathering of larger amounts of waste goods. 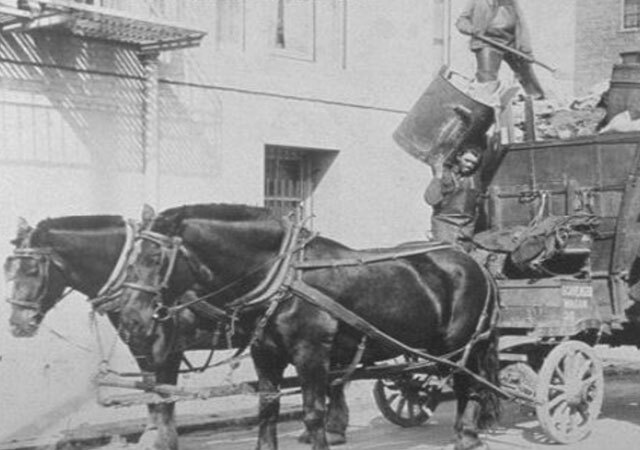 Both handcarts and horse carts were used by the Cracotan paper stock men before the introduction of trucks. The Benedetto family was among the earliest immigrants from Craco, Italy arriving in the early 1880s and for the most part, lacked the skills that could be easily transferred to the new metropolitan environment in New York City but were willing and able laborers. Our records tell us that between 1880 and 1900 only about 387 Cracotans had immigrated to the US. It is documented that in 1896, what has been called “the first major recycling center” was started by the Benedetto family in New York City. They collected rags, newspaper, and trash with a push cart. In 2004, they formed Recycling and Disposal Solutions of Virginia, Inc (RDS) and purchased a small piece of land on Frederick Boulevard, in Portsmouth. They began to design a recycling facility based on their knowledge of recycling operations and local market needs. 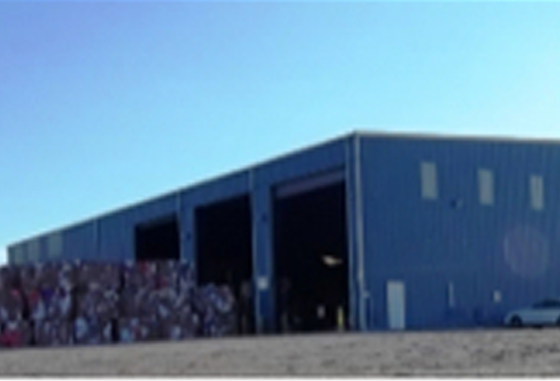 Building from the ground up and staying very involved in the construction process resulted in a state of the art 15,000 square foot recycling facility with over 1,000 square feet of office space. 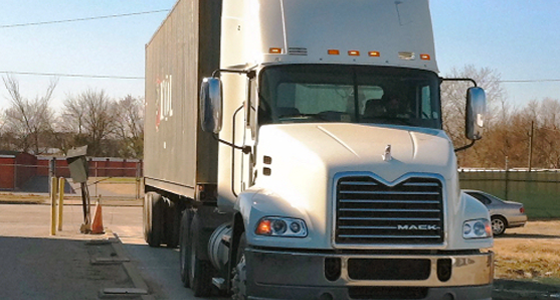 It quickly reached capacity, resulting in additional machinery being installed in 2007 and a loading dock expansion in 2008. In 2009, additional property was purchased and future expansion plans were put into place. Also in 2009, the opportunity to open a second facility in Roanoke, VA resulted in the conversion of a 48,000 square foot manufacturing operation into a second RDS recycling facility. This facility was designed to meet the needs of the City of Roanoke and surrounding communities as they offered recycling programs to their residents, as well as local businesses. At the Roanoke facility, RDS installed custom designed sorting equipment to separate all the cans, bottles, plastic, metal and paper into recyclable products. In 2015, RDS opened an additional Roanoke facility making it the third overall Virginia facility for RDS. 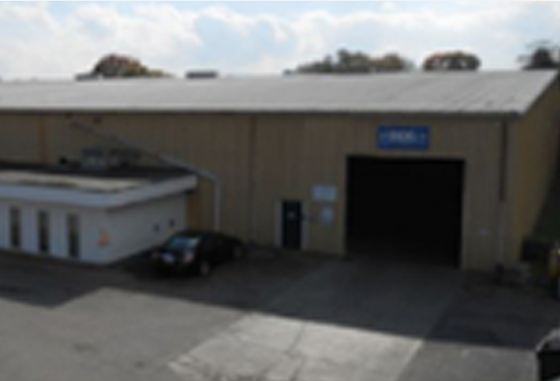 This Korte St operation is conveniently located to service the City of Roanoke as well as Salem, Vinton, County of Roanoke, Montgomery Regional Solid Waste Authority and other local companies. Just like the first two RDS facilities, Korte offers tailored programs designed for each RDS customer, making recycling and disposal easy for all of Southwest Virginia.